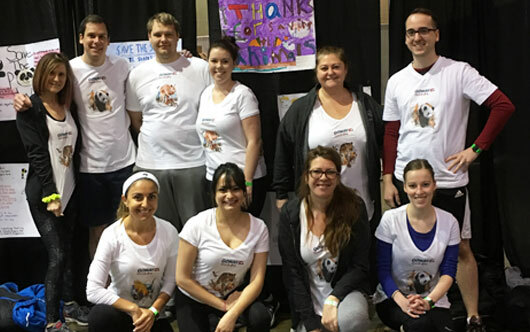 Goway Travel employees were out in force for Saturday’s World Wildlife Fund CN Tower climb in Toronto. The energetic Goway staffers, who work for a company whose founder is committed to wildlife preservation, all hoofed it up the tower’s 1,776 stairs to the top of the imposing structure, generating money for the World Wildlife Fund’s many projects around the globe. “We were proud to make it as a team. As one put it, ‘No man or woman left behind’ and those that needed encouragement and help buddied up, so it was an amazing exercise of teamwork,” said Goway’s Emma Cottis.